Cupric ions react with protein in alkaline solution to form a purple complex. The absorbance of this complex is proportional to the protein concentration in the sample. R1 (colour reagent) and 2 (standard) are ready for use. They are stable even after opening up to the expiry date when stored at 2...25oc. Contamination after opening must be avoided. Up to 1 mounth at 2...80c, up to 1 week at 15...250c. 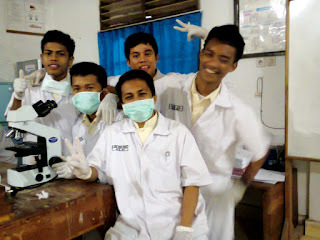 Measurement : againts reagent balnk. Only one reagent blank per series is required. Mix, incubate for 10 min. At 20...250c. Measure the absorbance of the sample and the standard againts the reagent blank within 30 min. The test is linear up to a protein concentration 12 g/dl or 120 g/l. Dilute samples with a higher concentration 1+1 with physiological saline (0,9 %). Multiply the result by 2. For internal quality purpose, all cemmercially available control sera with total protein values determined by the biuret method may applied. The test may be performed manually or on clinical analyzers. For applications please contact us at the address given below. 1. The sample blank for clear, colorless sera is equivalent to 0,2 g/dl and can therefore be ignored. A sample blank must be determined for haemolytic and lipemic sera by pipetting 20µl sample to 1000µl physiological saline and measuring againts dist, water. The absorbance of the sample blank has to be subtracted from the absorbance of the sample. 2. The colour reagent contains sodium hidroxide which is irritant (R 36/38). In case of contact with skin and mucous membranes wash with copious amounts af water. 3. The standard contains sodium azide as preservative (0,095 %) do not swallow. Avoid contact with skin and mucous membranes.